First, let’s make sure everyone knows what the Philips Hue is and what it is for. 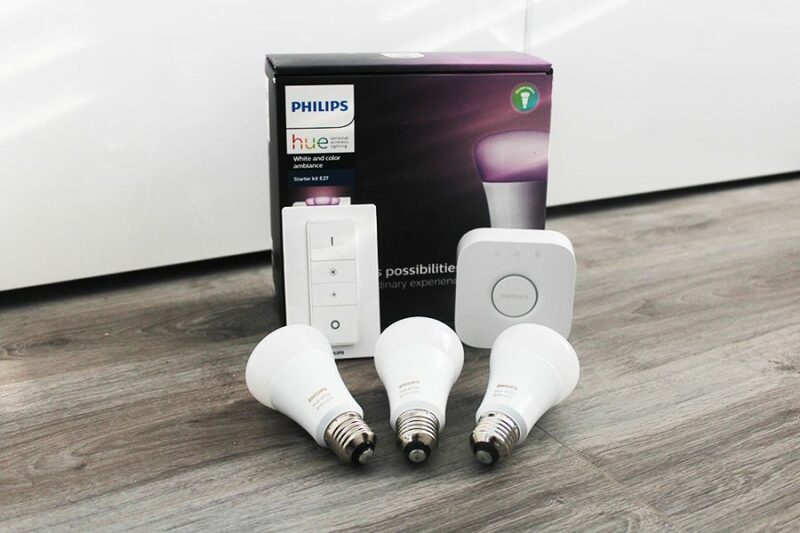 The Philips Hue is a special pack of light bulbs that is controlled thru a smartphone or tablet. A common question about the Philips Hue is whether it can be used outdoors, and if so how. 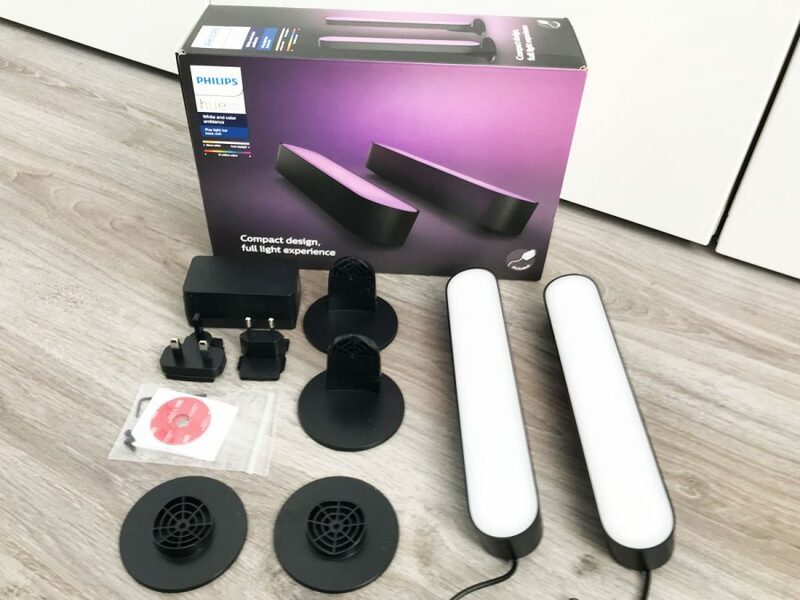 It is worth noting that in order for the Philips Hue to work, outdoors or otherwise – it does need to be within range of a home wifi network; which would be accomplished by using a bridge included with the bulbs that is obviously hooked up to the home’s electricity. Setup of the bulbs is rather easy and should only take about five minutes. It consists of putting the bulbs in the fixtures as you would any other light bulb and plugging the bridge in. Once the bulbs are online, you control them via a free app that you get on either the smartphone or tablet that you plan on controlling them with. Within the app, there is a way to control the color and brightness…it looks a lot like the colors do on a word processor when you go to change the font. The options of colors is almost endless. Further, Philips created what they call “light recipes” which are settings that can match colors to come up with different effects. 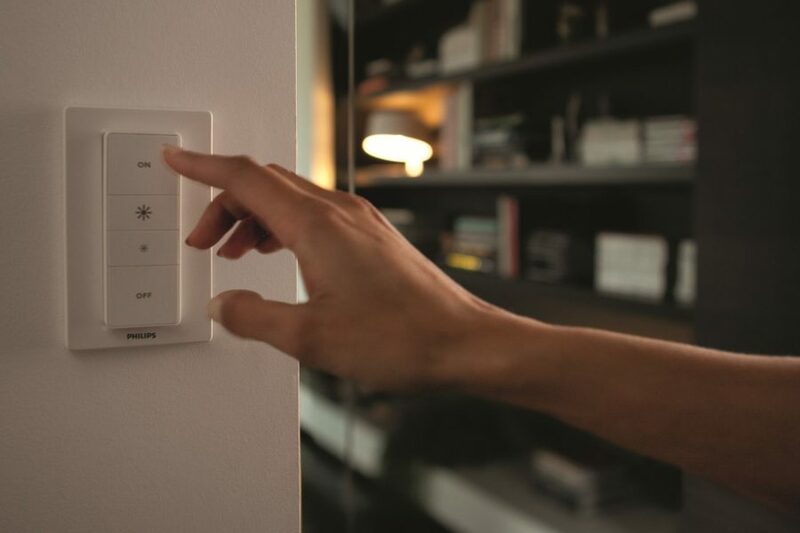 It should also be worth noting that within the app, there is a way to create a home security system by automatically setting the bulbs to turn different colors in certain situations. This is a good reason to justify using the Philips Hue outside even though Philips does recommend against it. 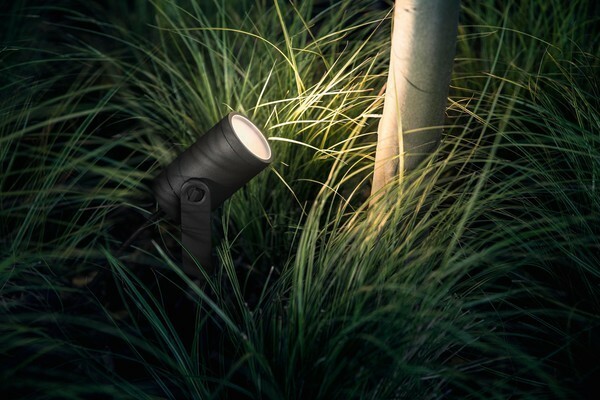 This year Philips released a range of outdoor hue lights that come with integrated LED bulbs in color or white only working in exactly the same way as other Hue bulbs and lights. You can see the range of Hue garden lights below. 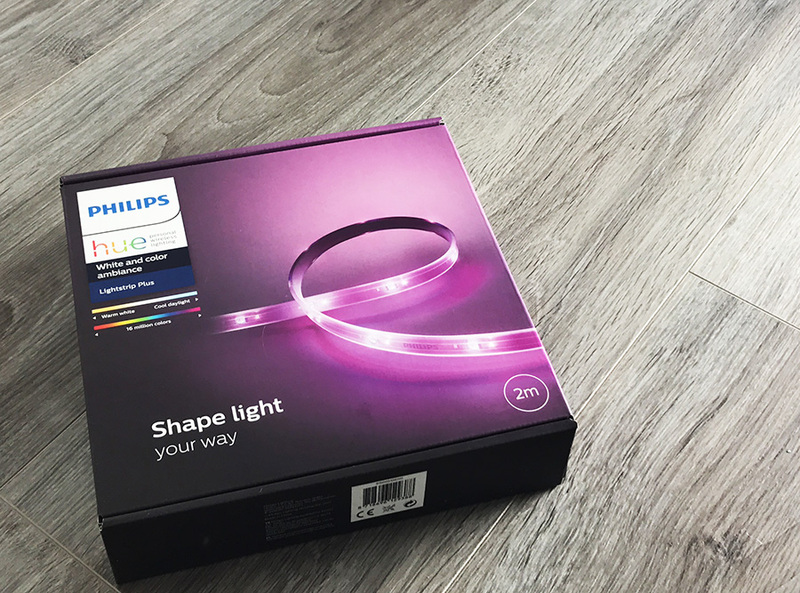 Can the Philips Hue Lightstrip be used outdoors? There is no official outdoor lightship from Philips and the current version is designed for indoor use only. If you wish to use it outdoors it is important to protect it and ensure the mains power supply is inside. The light strip could be successfully run along the under side of a decking balustrade where it is hidden out of sight, as well as projected from the elements such as rain and direct sunshine. But that does not mean that they cannot be used outside. It just means that their life expectancy may not be as long as it would be if used indoors. So far though, there have been reports of them surviving a winter outside whether it’s been in Nevada or Canada. Also, if something happens to the bridge that controls them…they will revert to being normal light bulbs; albeit expensive normal light bulbs. But obviously that is better than them being completely destroyed. In conclusion, yes you can use the Philips Hue outdoors if they are still in range of the wifi that is indoors at that location. Just expect that they will not have as long a shelf life if you do use them outdoors. 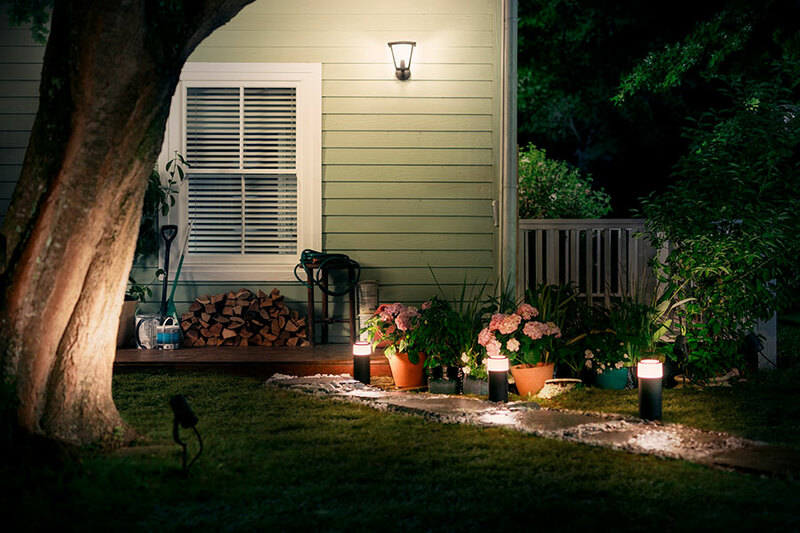 Are you making a low volt outdoor landscape lights? I live in Northwestern Ontario. I have HUE outdoor flood lights in the eaves surrounding our house. The same bulbs are still going strong after 3 years. Our lowest temperature has hit the occasional -40 c that is not uncommon here. The key to these bulbs surving the elements is perhaps the they are close to the house naturally being in the eaves protected by the roof overhang and therefore they do not come into direct contact with rain and snow. They will get wet from time to time, but they are in recessed recepticals which can only be helping. So far no issues and it makes switching the look of the ambiat outdoor lighting simple from season to season especially at Christmas time. Which bulbs in particular are you using for outside? Which Bulb is being used outside? Where do you keep the bridge, indoors? Asking since I keep my bridge in attached (not heated) garage and experiencing some disconnection with lights going out at wrong times. Not sure if due to bulbs location (driveway within only 20’) or too cold temperature for bridge to operate properly. Current average temp ~ -7c. My outdoor fixture is enclosed like the one in the picture above. Can I use the candelabra bulbs in that or will they get too hot? I have one in a fitting like this and it is fine. Doesn’t get hot at all. Will the Hue lights work in an enclosed outdoor fixture that’s motion control? Meaning will the bulb react to the power being connected or will it flip on and off when it senses motion? The bulb would only have power when the motion sensor is activated, at the moment it would go bright white when on until the last state update is released. I would like to set up out door color hue bulbs in a down light fixture. What would be the best way to make sure the fixture doesn’t block thr WI-FI communication? You should be fine as long as the bulb is not to far away from your bridge, or another Hue bulb.